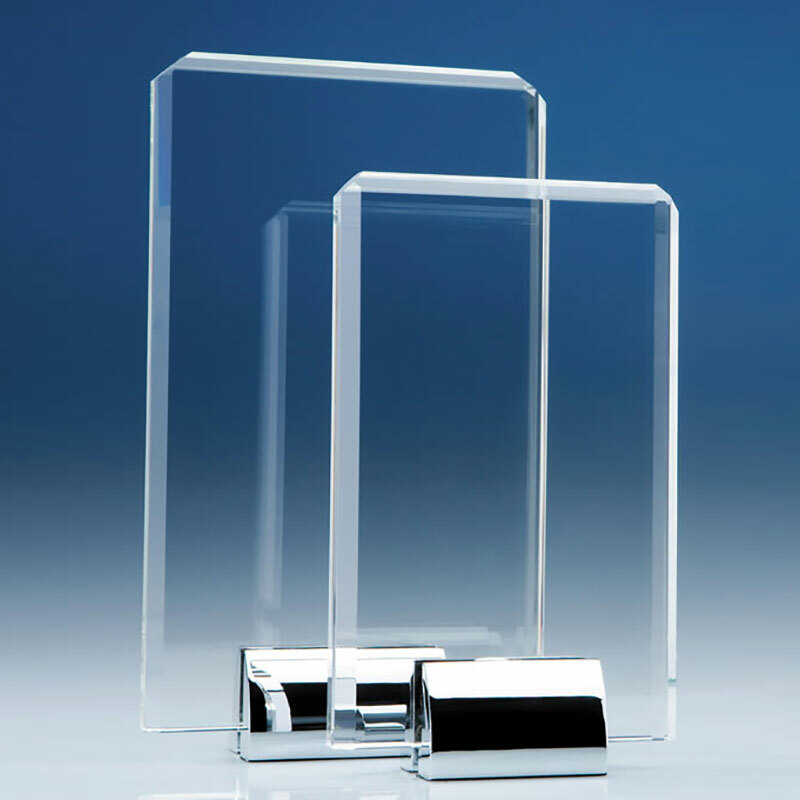 Clear optical crystal rectangular plaque with bevelled edges, on polished chrome stand. 25cm tall. Offered with engraving and/or colour print options. 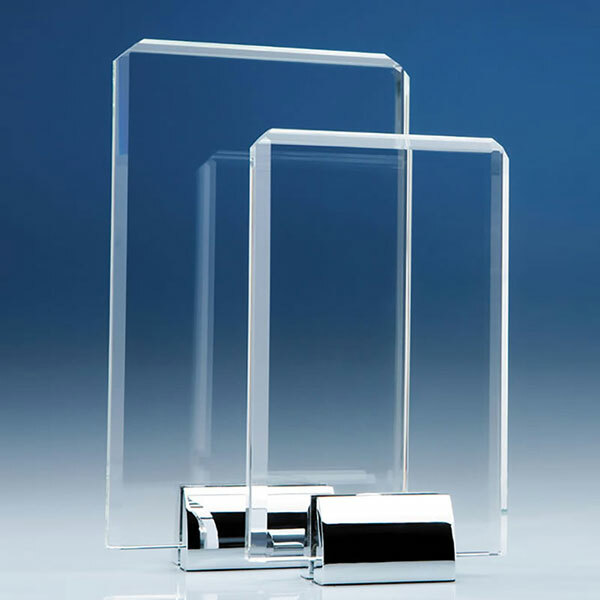 These stylish contemporary awards feature a rectangular glass plaque, crafted in flawless optical crystal and with a distinctive bevelled border, set on a polished chrome stand. Ideal as achievement or recognition awards for a wide variety of events and accomplishments, they are perfect to engrave or colour print on the flat front of the award. We offer low, fixed-cost text engraving and free logo engraving so you can create unique trophies or personalised gifts with these flat glass plaques. Each flat glass rectangle award is supplied in a black foam-lined presentation box. Weight: 2.3kg. Height: 260mm. Width: 150mm.